Money taken from Medicare Advantage (MA) to fund the Affordable Care Act (ACA) was a campaign issue in the 2014. And it will almost certainly be a factor in future political campaigns, including 2016. 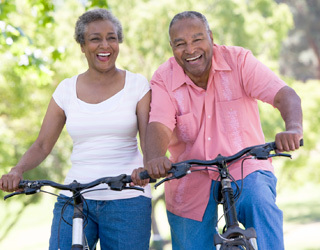 Provided by private companies, Medicare Advantage plans offer Medicare participants a substitute for conventional expenses and hospital services. Such plans are run by HMOs and similar health networks. They frequently attract senior citizens by providing hearing aid and eyeglass discounts or health club memberships. The Affordable Care Act, which was signed into law by President Obama in 2010, will result in $156 billion being cut from Medicare Advantage over a 10-year period. The political debate concerns whether those scheduled reductions of reimbursement rates will pose a threat to the services offered by Medicare Advantage. This is important to enrollees, as well as the nation’s healthcare system, in general. That’s because MA plans frequently earns high patient satisfaction ratings. Some individuals hope that these cutbacks will merely reduce the profits of the private insurance companies that provide Medicare Advantage plans. For an example of the popularity and influence of Medicare Advantage plans, just look New York State. Here, Medicare Advantage is participated in by approximately 35 percent of Medicare enrollees. More specifically, over 1.1 million senior citizens living in New York State are enrolled in this program. As such, Democratic and Republican politicians in this state, whether at the local or state level, make MA plans a key campaign issue. In fact, so important is Medicare Advantage to New York State’s residents that it has even affected political races nationwide. In his 2015 fiscal budget outline, Congressman and Chairman of the House Budget Committee Paul Ryan included dramatic cuts to MA plans. However, New York State Republican Representative Chris Gibson actually voted against Ryan’s proposed budget. Gibson made reference to the positive feedback provided by New York State Medicare Advantage participants. Chief among the plan’s benefits was that it was designed to promote healthy living. Additionally, another Republican New York state politician, Representative Tom Reed, stated that he was opposed to further cutting of Medicare Advantage. To date, Medicare Advantage has already weathered considerable changes concerning federal reimbursement rates. In 2010, when the ACA was enacted, Medicare Advantage programs qualified for 14 percent more in federal reimbursements than traditional Medicare plans. In 2014, this disparity was a mere six percent. Meanwhile, the number of seniors signing up for Medicare Advantage is steadily increasing. Research shows that 31 percent (more than 17 million) of the nation’s 55 million Medicare beneficiaries are currently enrolled in a Medicare Advantage plan. Compare this to 2004’s 5.3 million enrolled MA beneficiaries. Further, a forecast issued by the Congressional Budget Office (CBO)–a nonpartisan establishment–predicted that national enrollment will be 19 million by the year 2017. This surge is predicted even though the aforementioned healthcare law dictates that overpayments to the medical insurers providing the plans will be fully phased out by that time. Medicare Advantage critics state that the program features closed networks that limit the hospitals and doctors to which enrollees have access. Meanwhile, Original Medicare (Parts A and B) allows participants to use any healthcare facility or physician that accepts Medicare. According to the Kaiser Family Foundation (KFF), which is a nonpartisan organization, the doctors least likely to accept Medicare are OB-GYN’s, dermatologists and psychiatrists. The disparity between Original and MA plans affects millions of consumers. For example, in 2014, United Healthcare dropped Yale-New Haven Hospital from its network. As a result, Connecticut Medicare Advantage participants protested. This is because Original Medicare participants can visit any provider, regardless of whether they’re in or out of the plan’s network, states Judith Stein, executive director of the Center for Medicare Advocacy. This aspect is particularly important to participants who suffer from serious diseases. These enrollees may wish to schedule an appointment with a non-Medicare Advantage network specialist. Stein reports that what attracts senior citizens to the MA plan is that enrollment in separate plans, such as Medigap, is not necessary. In addition, MA usually offers lower premiums than its traditional counterpart. And while Medicare Advantage is a private, rather than government, plan many politicians – both Democratic and Republican – are opposed to further cuts. In 2014, Democratic Sen. Chuck Schumer, from New York and Republican Sen. Mike Crapo from Idaho urged the Centers for Medicaid and Medicare Services (CMS) to maintain Medicare Advantage current payment levels in a letter. CMS is the agency overseeing the ACA and Medicare. In total, 19 Democrats and 21 Republican senators signed this letter. According to Schumer, if the Medicare Advantage cuts had gone through, it may have ultimately stopped certain doctors from participating in the program.